As trading in the binary option market becomes more popular, traders have developed numerous different investment strategies and methods for profiting in this entity. However, even with proven gains to be made, there are some who still feel that binary options trading is a gamble. Some of the “gamblers” may even be the traders themselves, often simply throwing their investment funds into trades without any type of analysis prior to doing so, and typically resulting in the loss of such funds. Yet, while there is potential risk involved in virtually all types of investing, there are ways to help ensure that risk will be reduced – provided that the trader takes the appropriate steps. Due to its ease of making trades and its low investment funds requirement, the world of binary options trading has opened up to many new and less experienced traders. And, while this can be beneficial for some, for others it may lead to negative financial consequences if these traders are not diligent is doing their pre-trade research. One of the biggest reasons why binary options traders may “gamble,” is the lure by some of the trading platform websites of “guaranteed” or “easy” profits. Therefore, in many cases, new binary options traders feel that investing in these financial vehicles presents very little risk as the investment is “as easy as flipping a coin”. The problem here is that, whilst binary options brokers do offer 50-50 “higher or lower” options, it is important to acknowledge that the profit and loss levels will always be against a trader who simply guesses this each time. Many binary options brokers will pay75-80% payouts on winning positions but will also keep 85-95% of the investment with options expiring out of the money. On this basis a gamber would find equal success going to a casino than trading blindly and without a money management strategy. Because binary options trades do not depend on the underlying investment reaching a set or specified price, traders will often do very little analysis – or no analysis at all – and end up losing their invested funds. And, while the amount of potential loss is typically known prior to placing a trade, after doing so numerous times, the losses can truly begin to add up. As we have seen gamblers are prepared to throw money at something in an act of pure speculation and, whilst they the may know the odds, it has a distince level of uncertainty. Professional trading, on the other hand, attempts to mitigate this uncertainty with the analysis of probabilities. These can be in the form of a historical analysis of a particula strategy, watching how the markets have reacted to a setup signal over time and the likelihood that price will act in an increasingly certain way after this signal has occurred. Binary options traders fall in to this category when they look for trading opportunities and consistent ways to be profitable in the markets. They also maintain strict risk management strategies which, like other traders, include knowing how much to risk on each trade based on the strength of the setup in relation to its probability of success. This money mangement can also include the very helpful tools offered by many brokers, including the ‘close early’ feature for reducing losses on losing trades and also the Option Builder tool which allows traders to customise risk and reward on each trade based on the strength of the trading signal. While traders may not need to estimate an exact price point for their underlying investments, the profitability of a binary options trade still depends upon movement in a particular direction – and in order to greatly increase the chances of success, it is necessary for traders to do proper analysis. In addition to pre-trade research, many traders will also set goals for each of their binary options trades. For instance, there are some binary options traders who trade with the goal of maintaining the risk/reward profile using a type of trailing stop loss technique. This means that each time the market moves higher, the trader’s risk/reward profile will remain similar to his or her initial risk/reward profit. In the case of a trader who is using a trailing stop loss method, he or she must be careful to avoid placing their trailing stop loss percentage level where they will essentially be risking more once they have moved – and essentially changed – their stop loss ratio. Traders in the binary options arena may also be able to reduce their risk in this market by placing their focus on only certain types of underlying assets. This will help them in becoming much more familiar with a particular niche or sector, as well as with how a specific market tends to move. 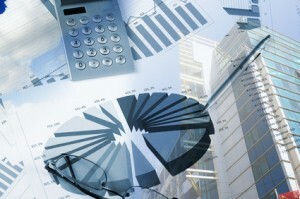 When a binary options trader is holding more than one position – and especially if he or she is using multiple trading strategies – it is essential for him or her to measure the amount of synergy in each of the positions in order to evaluate whether some of the positions mitigate the risk in the other positions. In any case, it is always essential to research the actual binary options trading platform and corresponding website prior to opening a trading account. While there are many very reputable websites available for this type of trading, there are always scam artists promoting ways of “getting rich quick” who are only out to take traders’ money. With this in mind, prior to analyzing any trades, it is best to first do a thorough amount of research on the trading platform through which such trades will be made.